David Bell - '19 - 4* WR - IN - Offer - ??? Brandon Legendre - '19 - 3* WR - LA - OV - ??? Reggie Love - '20 - 3* RB - MO - Offer - ????? Jay Bramblett - 3* P - AL - ??? Cam Hart - 3* WR - MD - ??? *Quenten Johnson - 3* DB - Michigan commit - HS teammate of Wardlow & Brown - ??? Jordan Butler - 4* DT - NV/IMG - Offer - ??? Gavin Williams - 4* RB - IA - ??? Josh Volk - 3* OG - IA - ??? DeaMonte Trayanum - 4* ATH - OH - Offer - ??? Jordan Johnson - 4* WR - MO - Offer - ??? Last edited by NDCrusader; 12-06-2018 at 02:43 PM.. So it sounds like April 13th-15th is shaping up to be a big weekend. It’ll be OV’s for Nana, Lacey, Spears, Watson, Osita, and Colt Ellison, all confirmed. Anderson likely to take OV for that weekend as well. And an unofficial for Nick Henrich. That’s a lot of star power on defense. Last edited by Luckylucci; 03-20-2018 at 07:24 AM..
Hopefully this will seal the deal for kenyatta. Been getting a few CBs to Texas lately. Notre Dame has considerable momentum in recruiting the defensive side of the ball. That momentum could pay dividends in the coming weeks. Aledo (Texas) weak-side defensive end Colt Ellison informed Irish Illustrated that he’ll be taking an official visit to Notre Dame on the weekend of April 13-15. 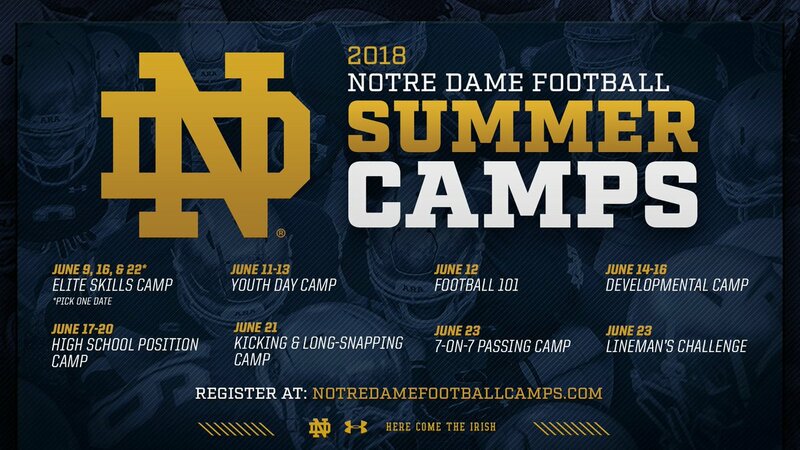 That particular weekend is shaping up to be a prominent recruiting opportunity for the Irish. Ellison will join fellow Texas defensive linemen Nana Osafo-Mensah and Hunter Spears in South Bend, as well as Irish defensive tackle commitment Jacob Lacey, four-star inside linebackers Osita Ekwonu and Nick Henrich, and four-star cornerback Kenyatta Watson. The 6-foot-4, 235-pound edge rusher has been a valuable contributor to Aledo High School, who has played in back-to-back Texas 5A Div. II state championships, taking the title in 2016 before coming up a point short in 2017. Ellison put up big numbers in both state title runs, adding 96 tackles, 18 tackles for loss, and 13 ½ sacks as a junior, as well as 90 tackles, six tackles for loss and 10 sacks as a sophomore. In the fall, the productive Texan took an unofficial visit to Notre Dame for the USC game with his parents. On Feb. 27, the Irish extended an offer. Following that offer, Ellison told Irish Illustrated that he would plan to take a visit “as soon as possible.” It looks like he stuck to that plan. “I’m just super pumped to get back out there and check out everything when they aren’t under the lights and see how the off-season works out there,” Ellison said. Ellison mentioned he has been talking with Irish defensive tackle/strong-side defensive end commit Hunter Spears, both from the Dallas-area. The Irish have done an outstanding job of acquiring interior defensive line talent in the 2019 class and in recent years. With Lacey and Spears both attending the April 13-15 recruiting weekend, the four-star duo will have a great opportunity to sell the Irish to the Texas defensive end pair of Osafo-Mensah and Ellison. Ellison holds many offers close to home in Arkansas, Baylor, Oklahoma State, SMU, TCU, Texas State, Texas-San Antonio, Texas Tech, and Tulsa, along with national offers in Illinois, Iowa State, Minnesota, Notre Dame, Oregon State, Penn State, UCF, Utah, and Wisconsin. For the Irish, getting quality Texas defensive end talent on campus in the spring is a big win. It's a big week for visits. Especially at LB with Lytle, Smith, Sinclair, and Fulton visiting. Really, this is the start of a big April for the staffs recruiting efforts. Will be getting a lot of top talent to campus this month.